Trey Burke’s defensive effort and rotation earns your Heads Up Play of the Day! TRANSACTIONS: Selected by Minnesota in the first round (9th overall) of the 2013 NBA Draft… Traded to the Jazz for Gorgui Dieng and Shabazz Muhammad on draft night… Traded to Washington for a 2021 second round draft pick on July 7, 2016. 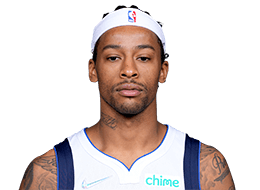 PROFESSIONALLY: Has appeared in 210 career NBA regular season games (111 starts) all with Utah… Holds career averages of 12.1 points, 4.2 assists and 2.5 rebounds in 28.2 minutes per game… Earned 2013-14 NBA All-Rookie First Team honors, was a three-time Western Conference Rookie of the Month winner and was a member of the 2014 USA Men’s Basketball Select Team. 2015-16: Played in 64 games with Utah, averaging 10.6 points, 2.3 assists and 1.8 rebounds… Shot .413 from the field and a career-best .344 (88-256) from behind the arc… He tallied 40 double-digit scoring outputs off the bench, including five games of 20+ points... Recorded a season-high 27 points on 12/31 vs. Portland. 2014-15: Appeared in 76 games (43 starts) with Utah, posting averages of 12.8 points, 2.7 rebounds and 4.3 assists in 30.1 minutes per game... Made the third-most threes in a single season (124) in Jazz history… Missed one game due to strep throat (1/5) and five games due to a sore lower back (4/4-4/5, 4/11-4/13)... Participated at the 2015 BBVA Rising Stars Challenge at All-Star Weekend in Brooklyn, logging 17 points for Team USA... Scored 10-plus points on 52 occasions and 20-plus points in 11 contests... Posted three double-doubles... Recorded a season-high 28 points along with six rebounds and six assists at MIN (1/3)... Notched 20 points on a career-high-tying five three-pointers made at GSW (3/21)... Scored 26 points and had six assists vs. MIN (12/30)... Recorded a team-high 22 points, four assists, six boards and a career-high-tying four steals vs. OKC (3/28)... Posted a game-high 23 points and a game-high six assists vs. MIL (2/28)... Dished out a season-high-tying 11 assists and scored 13 points vs. ORL (12/5)... Knocked down a game-winning shot at the buzzer and finished with 13 points and eight assists at NYK (11/14)... Tallied 11 assists and 11 points at ATL (11/12). 2013-14: Appeared in 70 games (68 starts) as a rookie... Averaged 12.8 points, 3.0 rebounds and a team-high 5.7 assists in 32.3 minutes... Selected to the 2013-14 NBA All-Rookie First Team, the sixth Jazz player to make the First team... Earned NBA Western Conference Rookie of the Month honors three times in 2013-14 (December, January, April)... Second Jazz player to ever win Rookie of the Month (Karl Malone, December 1985) and the first Jazzman to win the award in multiple months... Finished third in 2013-14 NBA Rookie of the Year balloting... Won the 2014 Taco Bell Skills Challenge during NBA All-Star weekend in New Orleans alongside Damian Lillard of the Portland Trail Blazers... Participated in the 2014 BBVA Compass Rising Stars Challenge during All-Star Weekend, contributing six points and two steals... Missed first 12 games of regular season due to right index finger surgery (10/30-11/18)... Led Jazz in assists 31 times and in scoring 10 times... Posted double-digit scoring in 48 contests... Recorded eight double-doubles in rookie campaign... Produced 20-plus points in 12 games... Had 10-or-more assists in seven games... Handed out second most assists per game among rookies (5.7)... Set a Jazz rookie record for three pointers made in a season since 1979-80 (111)... Ranked second in total three-point field goals made for all NBA rookies (111)... Led all qualified NBA rookies in free throw percentage (.903)... Made professional debut scoring 11 points on 5-of-8 shooting in 12 minutes off the bench at NOP (11/20)... Tallied a career-high 32 points and was perfect from the free throw line (10-of-10) at MIN (4/16)... Connected on a career-high five three-pointers, scoring 23 points vs. ATL (3/10)... Registered 21 points and six assists vs. HOU (12/2) ... Produced 21 points and five assists at CHA (12/30)... Recorded 30 points on 12-of-20 shooting, seven rebounds and eight assists at ORL (12/18)... Posted 24 points and a career-high 15 assists at GSW (4/6)... Knocked down the game winning three-point basket with two seconds remaining vs. ORL (3/22). COLLEGIATELY: Played two seasons at the University of Michigan (2011-13)... Appeared in 73 games (72 starts) and averaged 16.9 points, 3.4 rebounds and 5.7 assists in 35.7 minutes... 2012-13: Started all 39 games and selected as team captain, averaging team highs of 18.6 points and 6.7 assists, along with 3.2 rebounds and 1.6 steals in 35.3 minutes while leading Michigan to the 2013 NCAA Championship Game... Hit the game-tying three pointer to force overtime in a win over Kansas to advance to the Elite Eight... 2013 NCAA Final Four All-Tournament Team... NCAA South Regional Most Outstanding Player... NCAA South Regional All-Tournament Team... Consensus 2013 National Player of the Year, winning the 2013 Naismith National Player of the Year, John R. Wooden National Player of the Year, Sports Illustrated National Player of the Year, Oscar Robertson National Player of the Year and Associated Press National Player of the Year... Also earned the Bob Cousy Award for the nation’s top point guard... Consensus All-American, named to John R. Wooden All-America Team, Associated Press All-America First Team... NABC Coaches’ Division I All-America First Team... USBWA All-America First Team... Sporting News All-America First Team... Sports Illustrated All-America First Team... CBSSports.com All-America First Team... 2013 Big Ten Player of the Year as selected by coaches & media... All-Big Ten First Team, unanimous selection by coaches & media... Set the single-season assist record at Michigan (255)... 2011-12: Played in all 34 games (33 starts) as a freshman... Led the team with a 14.8 scoring average, 4.6 assists and 3.5 rebounds in 36.1 minutes... Big Ten Freshman of the Year (media)... Big Ten All-Freshman Team (unanimous selection)... Helped UM to its first Big Ten title in 26 years (shared with Michigan State and Ohio State). PERSONALLY: Given name is Alfonso Clark Burke III, but goes by the nickname of “Trey”... Son of Alfonso “Benji” Burke II and Ronda Burke... Born and raised in Columbus, Ohio... Represented the Utah Jazz during the NBA’s Basketball Without Boarders Africa and the first-ever NBA Africa Game in the summer of 2015... Visited the Philippines to help host basketball clinics as part of NBA Cares, the league’s global social responsibility program that works with internationally-recognized youth programs as education, youth and family development and hands-on community service... Helps at various YMCAs and Boys & Girls Clubs in Columbus, Ohio during the offseason... Was a high school teammate of Boston Celtics’ Jared Sullinger... High school coach was Jared’s dad, Satch Sullinger.